Dr. Rose Aslan is an assistant professor of global Islam in the Department of Religion at California Lutheran University. Her current research focuses on lived religion and ritual among Muslims in the US as well as in the Middle East. 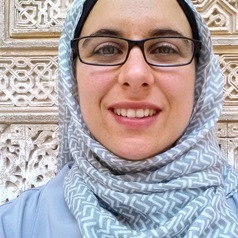 She received her doctorate in religious studies from the University of North Carolina at Chapel Hill, her master’s degree in Arab and Islamic Civilizations from the American University in Cairo, and her bachelor’s degree in near eastern and religious studies from the University of British Columbia. She gives talks and consults on issues affecting Muslims as well as interreligious and intra-Muslim engagement, religious diversity, the portrayal of Muslims in the media and TV/film, and visual and material culture in Islam.